Good deals and pricing can make investing in koi toward the end of the season very tempting. However; I feel that this is NOT the best time for koi purchases. Zones that get cold I would not suggest introducing new fish much after August and at latest September. I don’t like that the fish will not have alot of time to fully acclimate to your pond before going into torpor (fish “hibernation”). I like when fish have plenty of time to fully acclimate into their homes and establish eating patterns before cold weather hits. I also like them having a month or more to be observed for any health issues. The practice of introducing fish to new environments with only weeks before they stop eating and go into torpor is not a practice I would suggest. Is it “OK” to add new koi to the pond in the Fall? It’s ok, but not recommended! Good luck and KEEP IT PONDY!! 4 Comments on IS IT OK TO ADD NEW KOI TO THE POND IN THE FALL? 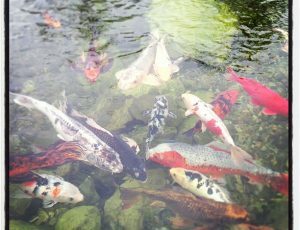 Would you write an article for KOI USA magazine on how many koi you should have in your pond, when you should add the koi (quarantine), and should you add koi if you haven’t added koi in over a year? Yes, I definitely agree what you say. 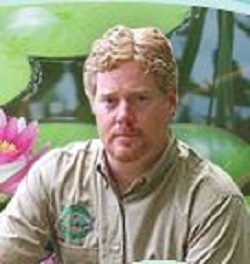 But, there are few people who try and add koi pond in fall and have experience many issues as well. So, it’s better to avoid in this season!